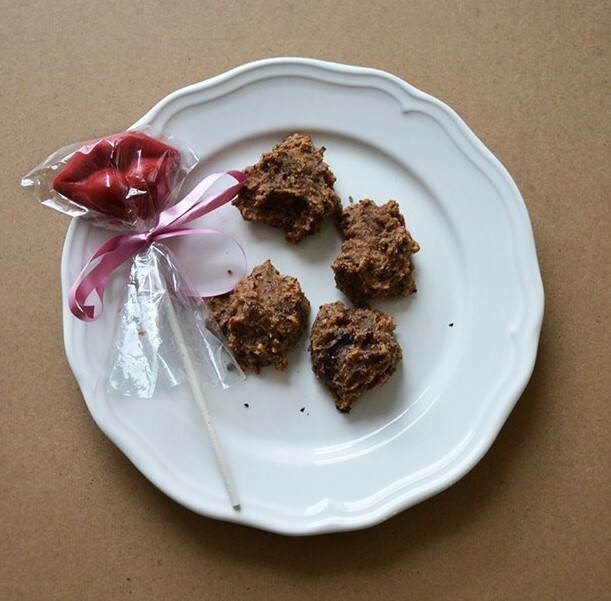 Chocolate Almond Oat Cookies – Love. Nourish. Heal. Happy Valentine’s Day! My day consists of eating lots of baked goodies because I’m in love with food! These vegan cookies were chewy and delicious. They might not have been the most beautiful cookies, but it’s the taste that matters! 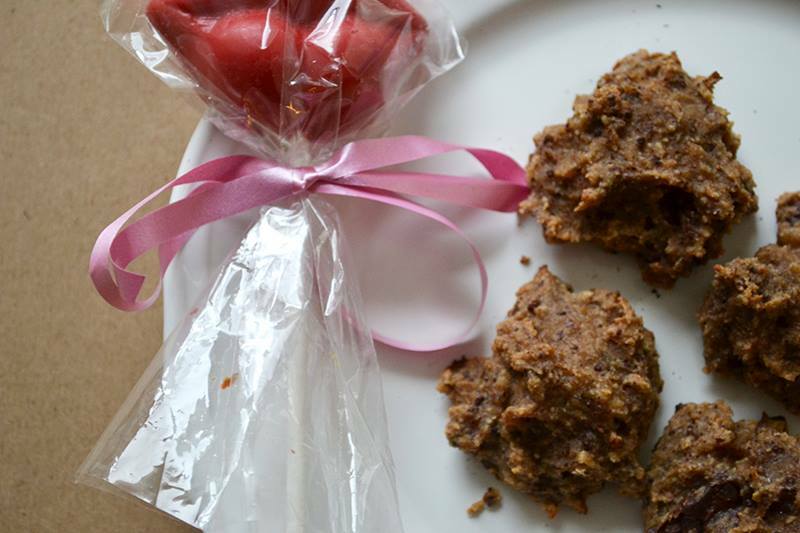 Ingredients: Oats, Almonds, Dark Chocolate, Agave Nectar, Applesauce, and Ground Flax Seed. Process oats to make oat flour. Process almonds to make the almond butter. Grind up the dark chocolate bar you have laying around. Mix all ingredients with 3 tablespoons of the applesauce. Whisk waster and the ground flax seed together to make your flax egg. Immediately add it to the mixture with a tablespoon of the agave. Form the dough into little balls and bake for 15 minutes at 325 degrees. Check out my post from today! Great cookie minds think alike!